Sweet and spice and everything nice. 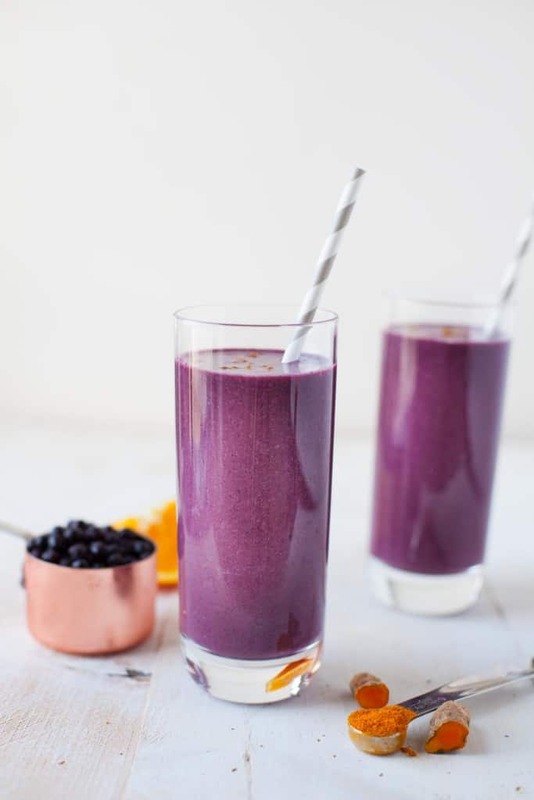 This Wild Blueberry Turmeric Zinger Smoothie is packed with immune-boosting ingredients to keep you rockin and rollin all winter long. This post is sponsored by Wild Blueberries Association of North America. Thanks for supporting the organizations and brands that make TFD possible. As always, all opinions are my own! As a dietitian who believes in intuitive eating and not restricting yourself ever, I indulged a good amount over the holidays. Christmas cookies, eggnog, cheesecake, poinsettias, cheese…basically it was a feast of desserts, cocktails and cheese. And I was happy to indulge in my favorite foods and drinks. Because as a nutritionist I know that if you ignore your cravings, you ultimately end up bingeing or overdoing it. But it’s funny how your cravings naturally shift after a period of indulging. Right now, all I want to eat are salads and grains and veggies and plant-based proteins and smoothies. And my body, soul and spirit are super content with that right now. That’s what I see happen with my intuitive eating clients too – they are worried that if they indulge, they will lose all control around food. But once you go through that “honeymoon” period of allowing yourself to indulge, your body will ultimately balance out and get sick of those foods and start craving other foods. You just have to listen to your body’s intuition. I’ve also been aware of the time of year it is and that this is typically when I’m prone to getting sick and coming down with a cold or flu. Both of my parents and my sister were sick around the holidays and so I’ve been trying to choose foods that I know will boost my immune system, i.e. all the antioxidant-packed fruits and veggies, turmeric, ginger, green tea and fermented foods like kefir, kraut and apple cider vinegar. And one of my favorite ways to fit in a bunch of nutrition into one shot is a smoothie. Throw in all of your immune boosting produce, spices and herbs into a blender and you’ll have a nutrient powerhouse in minutes. 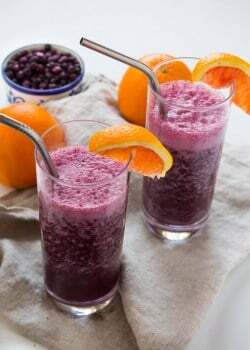 Knock on wood, I haven’t been sick yet this cold/flu season so Imma keep making smoothies and loading up on antioxidant-packed fruits like Wild Blueberries. DYK that Wild Blueberries are packed with antioxidants?! In fact, they contain 2x the antioxidants of regular (cultivated) blueberries. Wondering why antioxidants are so important? Well, every day, our cells fight against free radicals – unstable oxygen molecules that are a normal byproduct of metabolism. When you aren’t getting enough antioxidants in your diet, free radicals can build up in your body, causing oxidative stress, which is associated with cancer, heart disease, diabetes and other diseases of aging. Dietary antioxidants such as anthocyanins, flavonoids found in the blue pigments of Wild Blueberries, have the ability to neutralize free radicals and help prevent cell damage. Antioxidants can also protect against inflammation, which may play a role in supporting our immune systems. 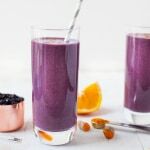 I especially love Wild Blueberries for smoothies because they are found in the freezer aisle of your grocery store and available all year long. Because these babies are frozen, they’ll keep your smoothie ultra cold without the need for ice (which makes for a diluted, flavorless smoothies). Post your original smoothie recipe on your blog and share on social using #WildYourSmoothie by February 10th. Voting period begins February 28th – March 6th and the winners will be announced during a live Twitter chat on March 14th! Head on over to the Wild Blueberries site for more deets! If you’re not a blogger, don’t fret because I’ve got something else for you today – a new smoothie recipe! 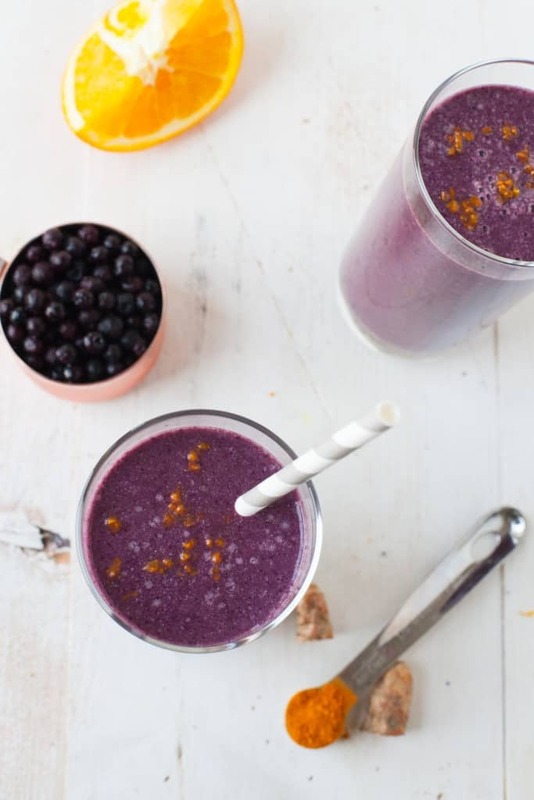 Made with immune-boosting ingredients, this smoothie is perfect for the winter months. 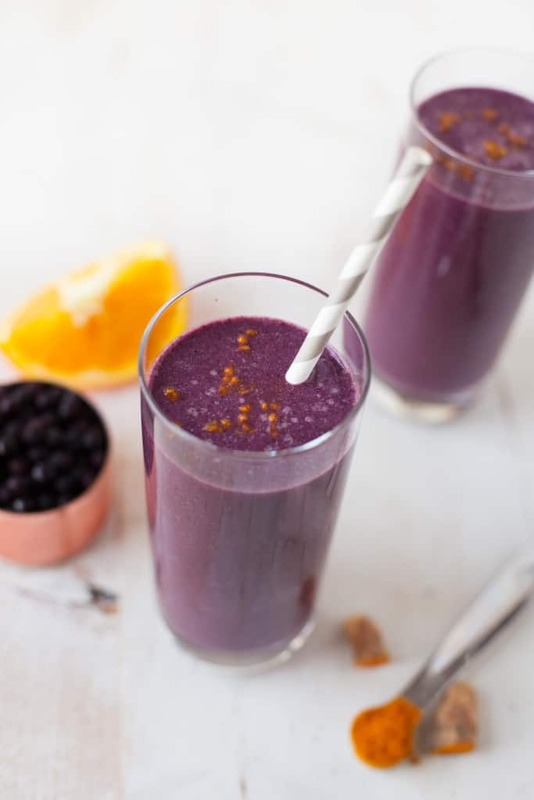 It’s loaded with antioxidant-packed fruits like Wild Blueberries and mango, warming spices like ginger and turmeric, citrus peel and apple cider vinegar. A pinch of black pepper is added for a little bite and to help increase your absorption of turmeric! This smoothie has a delicious zing to it and will add some pep to your step during these dreary, cold winter days. 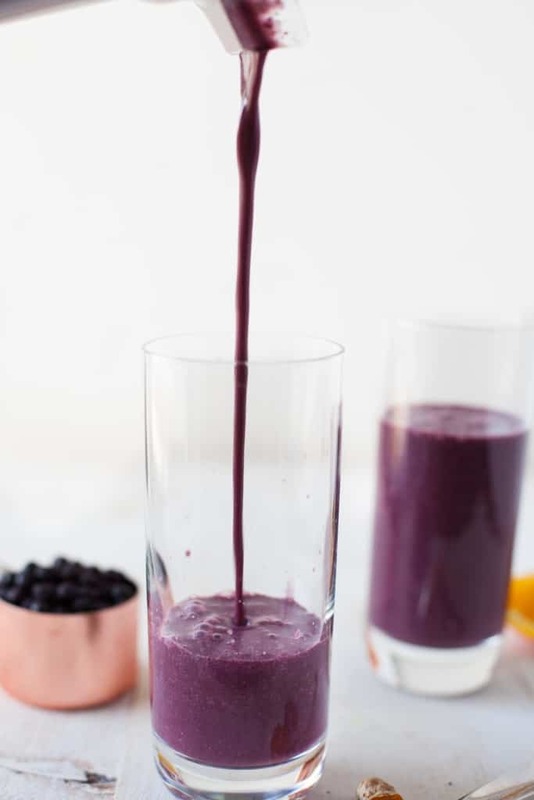 Tell me, have you ever tried Wild Blueberries in your smoothie? What about turmeric? 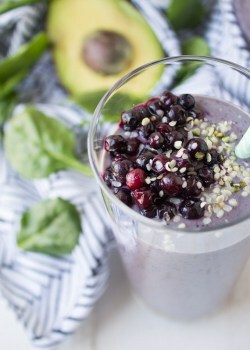 For other Wild Blueberry smoothies, check out my recipes below ! Beautiful pics, like i could reach out and take the drinks. 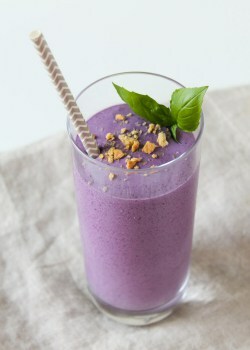 I have been preparing the Wild Blueberry Turmeric Zinger and now want to try the Immune Boosting Smoothie. Will it work just as well with either Almond Milk or some other liquid? I am allergic to coconut. Hi Joanna – thanks! Glad you’re enjoying the zinger smoothie! The Immune Boosting smoothie should work just fine with almond milk or another liquid! This looks so good! Do you think it would be okay to make at night and drink in the morning? Also, do you think adding plain greek yogurt for protein would work? Thanks! Hey Laurie, thanks! You can definitely make it at night but it might separate a bit so you’d want to give it a shake or a quick blend in the morning. And totally, Greek yogurt should help make it creamier too! Do you have an idea about the calorie count on this smoothie? Thanks! Hi Jean! I don’t do nutritionals on any of my recipes because I’m not a big believer in counting calories or grams of this or that. Ki Kara! I was hypnotized by the color and the consistency of the smoothie I ran to the grocery store to get the ingredients. It’s sooo delicious. The pictures are also amazing. Do you take them yourself? Thanks, Magda! So glad you enjoyed!